Beat This Caption Contest 165 Winner – Caption Contest Funny Clever Witty Enter Today! Sounds just like my Facebook Status! 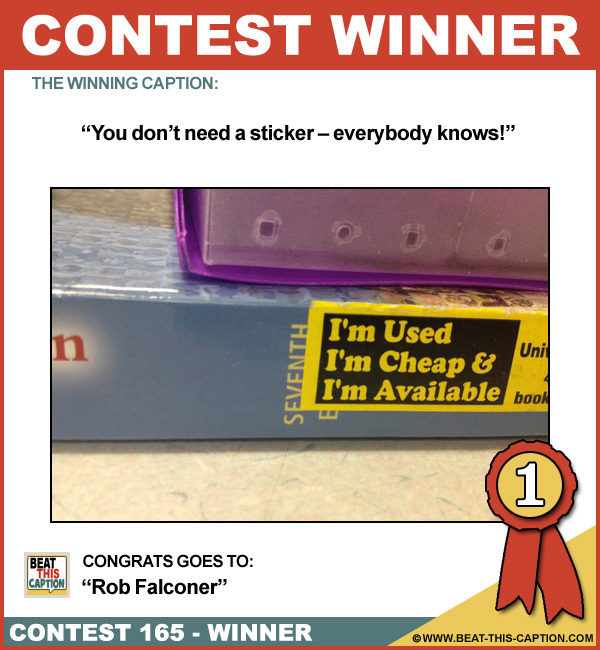 You don’t need a sticker – everybody knows! Great Caption! I knew that! :) You WIN (doubly)! The Miley Cyrus Autobiography, now at your local 99 Cent Stores! Slogan for US politicians after this Tuesday! Neglected books are fighting back against tablets! Come lose yourself in me!